The judges grade the videos on the category criteria, which adds up to a total average score of the video. On that score we list the videos from best (1) through worst graded which we will use as the source for our seeds. This will insure that the best videos will not eliminate each other early on, and each heat is fairly proportional to each other. 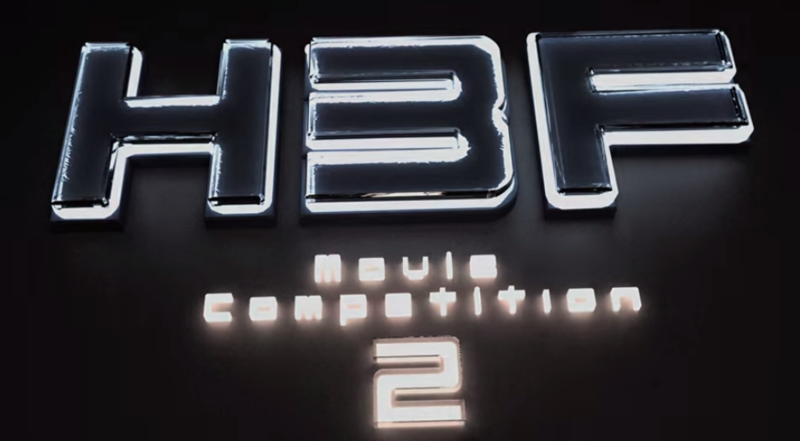 After each video is organized into their heats, voting will take place just as it did in the last competitions; the top half will move on to the next round. How to win a sub category? Now you may have asked yourself, "How do I win a sub category award?" And that is where the judges come in! Judges will be discussing and doing voting of their own to decide the winner of every sub category. Judges MAY enter videos but they will not be eligible for any sub category awards. Unlike previous competitions there will be NO ENTRY FEE, it is completely free to enter as many videos as you'd like. You are allowed to enter any type of Halo CE, Halo 2, Halo 3, Halo 3: ODST, Halo Reach and Halo 4 video with the criteria being that the video must be of a compilation/montage fashion (so jumptages: yes, machinema's: no). Each video entry must have the official logo or animation in the intro of the video. You can reshape and modify the logo as you please (as long as it is clearly recognizable and the text is readable). We may not see every entry or remember 100% of them until the end, please register your entry by following the guidelines in THIS THREAD. We'll keep an up to date list on all entries there. This is the ONLY way to enter the competition. The deadline for this contest is Friday, January 2nd 2014 midnight PST. We want everyone to have a fair go at this so we're giving a solid time frame which shouldn't give people already involved in a project too big of an advantage. Adding a download link is highly recommended, not only can people appreciate your work in the best quality, it also helps us and others to upload it to their youtube channels and help it reach a wider audience. Every contest contender (who provides a download link)will get their video uploaded to the THF youtube channel. We don't have a sponsor like Z used to, this is all out of pocket. And with this competition having no entry fee, any donations, cash or XBL 1 months etc. are much appreciated to help reward people's hard work. We have a central paypal account THFHMC@hotmail.com, anything else please contact Klima, ohem, slater ohm via PM. I'm glad to finally announce the second THF Editing Contest! Last years contest had a huge turn out with a ton of great entries which is why I wanted to start up a second contest. We got a lot of edits that we wouldn't of otherwise seen, and this time there is a twist! You can use your own angles! Since capping your own angles is allowed I ask you guys to be open to capping for other people that don't have their own capture cards because they are at a disadvantage here. How do you Cap your own angles? - send a friends request to "THF CLIPS"
Must only use clips from the download link with the exception of angles, you can use your own angles. Have an active subscription to THF's Youtube Channel. Submit by August 15th, 2013. Must have THF Summer Editing Contest logo somewhere in the intro. The THF Channel is proud to announce a Mini Editing Contest. Clips provided by TranQ and prizes sponsored by Havey! Also thanks to Charlii for the idea, let's keep our active community brainstorming for ideas like this in the future. We want as many people to take part in this contest so please do your best to spread the word! Must only use clips from the download link. However that doesn't mean all clips have to be in your video. Submit by June 25th, 2012. Must have THF Summer Editing Contest logo somewhere in the intro. There is also an optional 3d intro by skols that you can use instead. If you don't stay within these marks after the deadline, will your video get disqualifed. Valid/submitted entries can be found in the announcement video as responsed videos. Rules: Montage must contain 60%+ Halo 3 footage. Montage must be submitted to me on aim or PM before releasing it to public. It must be hosted/announced on Halo3Forum.com for it to qualify. Only 20 contestants will be chosen for the contest. I will have a team of 6 people to go through the montages and pick 20 montages. The list of montages will be updated in this thread. They might be changed around until Oct 31st (the deadline to submit the montage). Don't ask me who the 6 members are. After the great success of Montage Contest 4, we decided to have a quick summer contest for the editors. However, our new sponsors wanted to make sure that the Contest 5 gets enough attention to attract more users and encourage more players to do their best for their montage! I am proud to announce our new sponsor: SwitchDiscs.com - You might have heard about them as they were reviewed by many major online magazine sites giving them props for their concept. SwitchDiscs is a new and exciting way for people to switch their old dvds, cds and video games to get the ones they want, for free. Start enjoying more great movies, music and games then ever before. The best part…everything is free!! The biggest prize ever given in history of Halo Montages! I have not decided how the prize will be distributed among how many winners, but the 1st place winner will get AT LEAST $700. More info on that and other info such as the deadline will be available in a few weeks. After the great success of Contest 3, GameSloth.com (our sponsor) and I had a serious discussion whether or not to have a 4th contest. After talking for hours, we finally came to the conclusion that we will have the contest and we want to take it to the level NO Halo site can ever imagine! - it will be H2F Exclusive ONLY! This is the first official announcement on the December Montage Contest. This will answer most of the questions that all of you have. Instead of making you read my boring thread, I'll just make this a simple FAQ thread. How do I enter my montage? Your montage MUST be hosted/sponsored by Halo2Forum.com. This is a contest for H2F members ONLY, so if you're planning on making montage for this contest & it's hosted elsewhere, forget it. When will you start accepting montages? If the montage is already hosted, then no need to send the montage again on AIM, you just have to give the link to the montage in the video section. What should I include in my montage? Any recommendation? What else will increase my chance of winning? 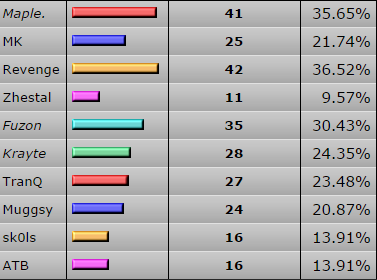 Based on previous experiences, normally, people vote because the maker of the montage is part of the forum and is active. Even though your montage might be better than others, the other guy might win just because people like him more. I suggest you try to be mature on the forum and remain a little active, trust me, will make a BIG difference! When will votings begin and end? Can anyone just sign up and vote? No, we will have a strict voting so that only active members can vote. And no, I'm not telling you how many posts or when you have to join to be able to vote. All I can say now is, show up on H2F few times a week and post a little. What do I get if my montage wins? $400 cash. We have not decided if 2nd and 3rd place winners will get anything. If you have any questions, reply here, but remember, no need to go "omg can't wait"
Ok, here's what's going on. Our video section's programming is finished and I have to manually enter each video with description and everything which takes FOREVER!!!!! People who submitted their montages to be in the competition will need to submit again! If you want to submit your montage, just know that your competition is Dymdez, Vrbas, HaloGod, Titan VIII types of montages. If yours is half as good as theirs, don't submit, it won't make it. In the next few days, I will let you know how we will do the votings which is an unique concept which I think will work much better. I will explain that in a week or so. I am still accepting montages for another week, but once again, don't submit if they are not on the same level of entertainment as the above four. 1. Does the montage has to be sponsored by Halo2Forum? 2. When is the last day to submit? 3. When will the voting begin? 4. Where do I submit my montage? 5. When will we know which videos were entered in the contest? Answer: No one will know which videos are entered until voting begins. 6. How many videos will there be for the contest? Answer: 1st place receives $100, no second prize! 8. Who can submit their montage? Answer: Anyone, including Rippon, Walka, Ogres, ANYONE!!! Quotes from Z in final votings. TheHaloGod - It's Different! Great gameplay, great quality, decent editing, great original music (humor factor)! VrBas - 1st of its kind! This was the first H2F montage to have passed the HBO's MSRRP. First of its kind to start the dramatic music trend and first of its kind to start the amazing editing trend, and possibly the montage with best video resolution! Titan VIII - Skill, skill, skill! Lots of skilled gameplay with unique touch to the editing. Quality is great and music is heart pounding that fits perfect with the editing and gameplay! TheHaloGod's montage, Untouchable turned out to live up to its name and THG showed everyone why he deserved the name he chose. Untouchable is without a doubt the most viewed Halo montage of all time today and many old school members of the Halo community still view him as one of the pioneers to kickstart the Montage culture. TitanVIIII didn't get as far TheHaloGod did, but if you ask the people who were around back then, they'll tell you that he had amazing gameplay for that age. VrBas peaked during this contest, he lost most of his clips because of computer viruses and didn't bother re-editing his fourth. His name fell out of the scene shortly after. Video Contest is on it's way. Click Here to vote.